“Yoga gives us the capacity to create space: between one action and another, between one breath and another, between one thought and another, allowing emptiness to inundate our minds” – pg 89, Vanda Scaravelli ‘Awakening the Spine’. Yoga has gone completely mainstream, with sensible people everywhere chanting ‘OM’ and doing postures on a weekly basis. But did you know that stress, especially in your job, increases your mortality odds by 25%? Perception is everything at work, and unfortunately to be perceived as being important or busy, often equates with being stressed. Is it possible to have a full workload and still thrive at work in a calm, attentive, peaceful manner? Can you be entirely useful to your organisation without also being stressed? When did being stressed at work become acceptable anyway, (Those 80’s shoulder pads have a lot to answer for) and have we finally reached a tipping point? When thanks to technology we can be constantly ‘switched on’ outside of the 9-5, how can we mentally wind down? As Fiona Wilson, Senior Project Manager from Great Place to Work, Ireland puts it “the continuing advancement of technology forces both employers and employees to look at the issue of work-life balance through a different lens”. 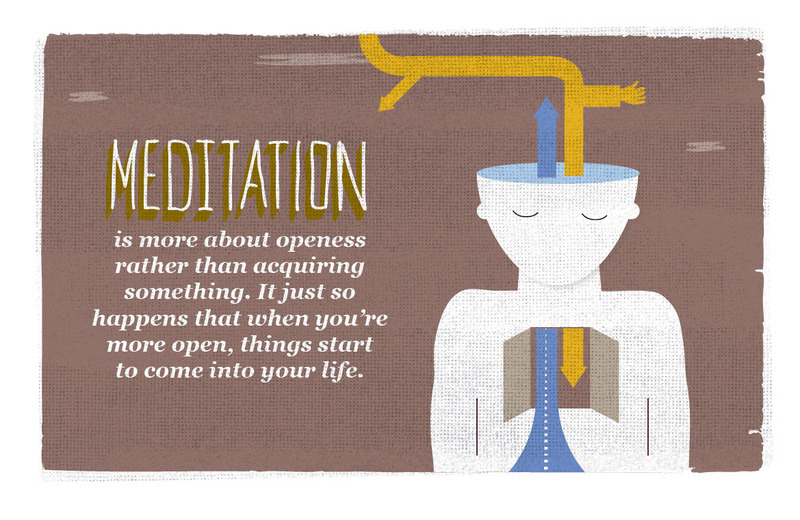 www.getsomeheadspace.com is a great website, with FREE 10 minute meditations and an app to help you generate calm, clarity and awareness in your everyday life. 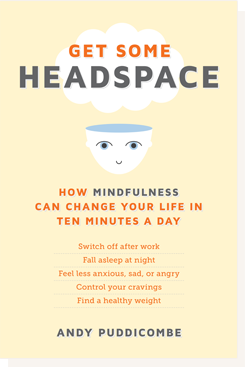 Co-founder Andy Puddicombe has this book out, which I have yet to read but the cover looks good! To prepare, sit as is comfortable for you. Arms by your sides, backs of your hands resting on your legs, index finger and thumb pressed together, other three fingers are straight. Stretch your neck by bringing your ear towards your shoulder on each side. Then bring your head back to centre, chin towards your chest, crown of your head floating up to the ceiling. Eyes and mouth gently closed. Become aware of where your feet meet the floor. Become aware of your sitting bones on the chair, have the feeling that you are sitting level, weight equally distributed on both sides. Breathe in and lengthen your spine, growing taller up out of your pelvis. 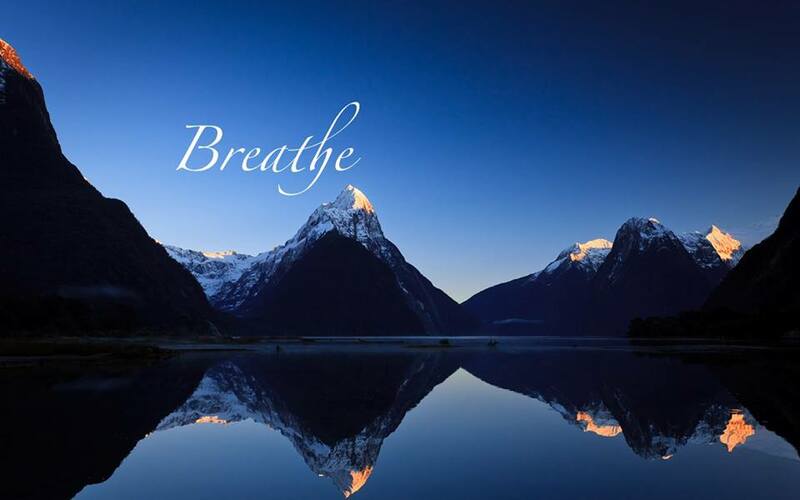 Exhale, soften your shoulders, and lift your heart. “Breathing in, I know I am breathing in. Breathing in, I see myself as a flower. Again inhaling, long and deep, inhaling PEACE and HARMONY, into every part of your being, from the top of your head down to your toes. Exhale feeling PEACE. Become aware again of your body sitting on the chair, become aware of where your feet touch the floor. Become aware of your whole body from top to toe. Feeling peace, feeling energised, feeling clam. Stretch the sides your neck, stretch your arms in front and overhead, slowly open your eyes, become aware of where you are. Have a steady, comfortable seat.